Saint Thomas of Canterbury Anglican Church, Philipsburg, PA – Serving Central PA, including Centre, Clearfield and Blair Counties … Faithfully practicing orthodox Apostolic and catholic Christianity, in the Anglican tradition. The 1928 Book of Common Prayer is our liturgical standard. 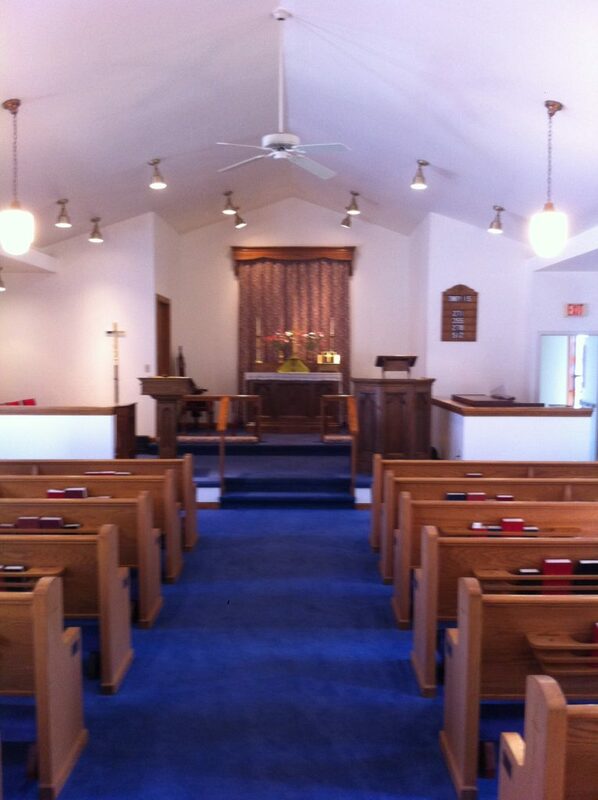 Saint Thomas of Canterbury Anglican Church welcomes you! The Church is conveniently located in the picturesque borough of Philipsburg, Centre County, Pennsylvania … just a short drive from State College, Altoona, Tyrone, Clearfield, and Bellefonte. Are you looking for constancy and sound doctrine in an ever changing world? Would you like to participate in a tradition of worship that stretches back to the days of the Apostolic Church? Are you seeking to put Jesus Christ at the center of your life? If so, the Anglican Catholic Church and her Philipsburg, Pennsylvania parish of Saint Thomas of Canterbury, has a place for you. You are most welcome to worship with fellow orthodox catholic Christians in the Anglican tradition at Saint Thomas of Canterbury Anglican Church. We are a part of the Christian Church that the Nicene Creed describes as One, Holy, Catholic and Apostolic. These are the four marks or characteristics of the Church, established by Christ to be His mystical body, which is the company of all faithful people. The Church is One … for we all partake of one bread (1 Cor. 10:17). As Jesus said, there would be “one flock, one shepherd” (John 10:16). The Church is Holy … for, as sinners, we avail ourselves of the means of grace, the Sacraments. Christ established His Church to continue His redemptive and sanctifying work in the world. The Church is Apostolic … because our Episcopal leadership is in the Apostolic Succession. Our bishops are descended in an unbroken line from the apostles of Jesus Christ. As Jesus said, “He who hears you, hears me” (Luke 10:16). Our refuge and our strength is Christ our Lord, who is always there for us, especially in our greatest time of need. This church is a holy place. There are no outcasts; our door is open to all! We are evangelical in our commitment to the truth and authority of the Bible, which contains all things necessary for salvation. We believe, and are committed to, the Good News that Jesus Christ is the only Son of God, who forgave sins and died to save sinners, and who was resurrected to bring spiritual and physical new life to all who respond in true faith to this wonderful news of salvation. We are apostolic in our commitment to the historic, universal Church. Our liturgical standard is the 1928 (American) Book of Common Prayer, which grounds us in the truth and beauty of nearly two thousand years of Christian worship. Traditional Catholic liturgy in the Anglican way can indeed be gloriously edifying and uplifting. Worship and prayer are of paramount importance to the soul’s formation. There is an ancient Latin maxim, “Lex orandi, lex credendi.” Loosely translated, this means that the manner in which we worship and pray, determines what we believe and how we live our lives. One of the greatest catechetical tools is the Book of Common Prayer. Come and visit our awesome faith community!